The 4K HDR era. Now playing. Brilliant picture quality. The hottest new content. Apple TV 4K makes your favourite TV programmes and movies even more amazing. Videos play in stunning detail with picture quality that’s more true to life. 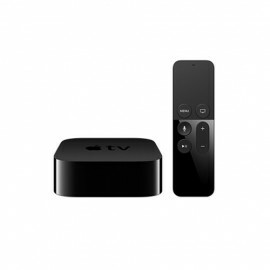 Find what you want instantly with the Apple TV Remote. * You can even share photos you take with your iPhone on the..